This fairy tale involves Australian peat and creamy layers of complex fruit living happily ever after under the thunderous clouds of spicy oak which also sprays down a gentle salty rain. It is complimented with notes of salted pistachio and the bite of anise seed; breathtaking stuff and a work of art by David Baker! This “world whisk(e)y” now joins the league of some others in my “Top Spirits” because in my view it offers a magical complexity, superb quality and a truly distinctive Australian whisky experience. Nose: This is a very mild, almost unnoticeable, peat on the first sniff. It is there, but hardly plays a strong role as some notes of freshly cut dry grass mingle with stone fruit (apricot and plum in particular). Let the whisky rest in the glass, and the peat develops a little more potency… but not much. I would describe this whisky as lightly peated as it delivers a fruity heart with a peat that gets stronger and stronger with each nosing. The distinct mild peat, a freshly cut dry grass with an earthy aspect, merges nicely with the alcohol and offers some licorice and under-ripe blackberries. A few drops of water releases the magic. The sweetness of banana chips fill the glass with creamy white chocolate as anise seed adds an earthiness and mild licorice. The sweetness of freshly picked berries develops as the grain from the distillate and creamy alcohol shines through a herbaceous fog of grass and sweet fruit notes. Just as the whisky seems to settle, it performs a final twist in its stellar performance releasing bread and butter pudding as the grainy bread mingles with sweet sultana and butter. There are few peated whiskies that release a nose as complex as this one. Pure magic. Taste: The peat is much more noticeable on the palate, as a big surge of lush and dry grass hits the palate with a burst of yellow plum picked from the tree too soon; there is some bitterness and sourness that counteracts the notes of sweetness that develop in the middle of the tasting. The peat lingers on the base of the tongue with some grassy notes; typically dry and Australian. The oak is spicy and the creaminess fades to dry burnt grass with shimmers of sweet candied plums. The most interesting note is the nuttiness of this whisky, which resembles salted pistachio and the bite of anise seed. Finish: Dry grass lingers on the palate with a surge of bitterness that retreats and gives way to shimmers of fruity sweetness. The distinct sweetness of toffee remains with praline and hints of something medicinal; perhaps the unique peat interacting with the alcohol. Get to know this whisky and be prepared to be blown away. Be patient and savour it with a few drops of water. 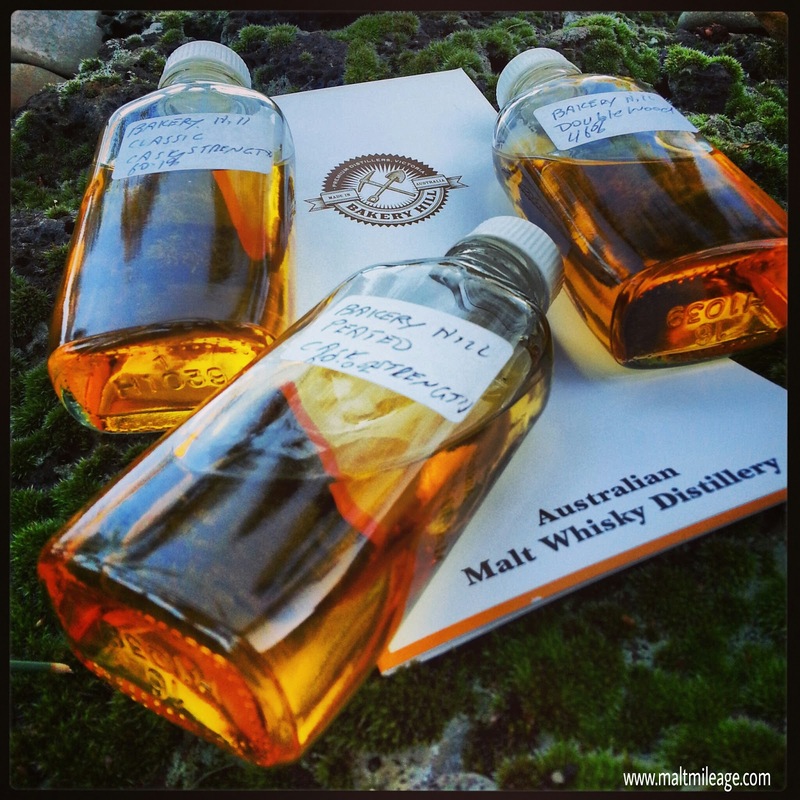 This entry was posted in Australian whisky. Bookmark the permalink.